How Do We Unite as a Yoga Community if We Voted Differently? Conversational threads on political social media posts among yogis, like anywhere else, have not necessarily been pleasant these days. You would think yogis would generally be united around their politics but surprisingly just like everywhere else there is a divide. One of our teacher training graduates who owns a studio in Colorado shared that some of her students are boycotting teachers on the schedule based on who they voted for. The division is real and it’s manifesting right in our studios. Is there anything we can unite around as yogis? Preserving democracy and freedom, plain and simple. Regardless of who you voted for, THAT is what we must get behind together and hold the White House accountable for. For example – I voted for Obama. But just because my candidate won, I did not sit back and trust that he was doing a good job. I still signed petitions to him and still called my senators. I still held him accountable. In the same way, just because your candidate won, we still need you on the team to call out the administration on those things which are not in alignment. Things like protecting the environment, tolerance, diversity, human rights, and kindness prevailing over fear. This is something I know we can unite around. But there is one caveat – we have to also agree that mainstream media is not fake or lying. We have to agree that they are doing their job, like they always have been. Nothing has changed other than the perception this administration is projecting onto the media. If you can’t agree to that, then we will not be able to unite and you may want to stop reading. If you did not vote this administration in, it won’t help to tell the ones who did that they’re racist, sexist, and anti-environment. And it doesn’t help to question them: “how could you possibly be a yogi if you voted for him?” They had their reason, which you won’t agree with – but what’s done is done. If you did vote this administration in, it doesn’t help to tell those who did not that they are hypocrites who are OK with corruption because “Hillary was such a crook.” Consider instead whether you can stand in the shoes of the other side. Can you agree on the desire to preserve the US Constitution and democracy? Can you agree on the importance and fragility of our freedom? Can you agree on the need to protect the environment – that climate change is the single biggest challenge of our generation? Can you agree that tolerance and celebrating our diversity outweighs fear? We may not agree on the choice of the candidate we each voted for. And we may not be able to forgive the other for voting differently than we did, but we do need to unite around common values and yogic ideals if we want to move forward in a harmonious world. If we can do this in the yoga community, than there is hope for the rest of the world. Did you enjoy this article? Sign up for updates (it's free)! Ten Customizable Yoga Blog Posts You Can Write Right Now! 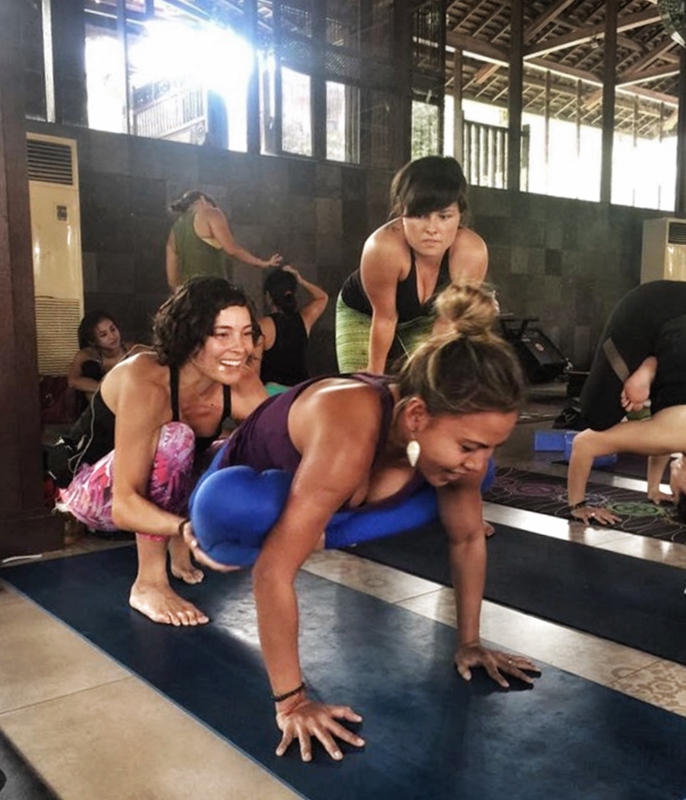 HAVE A QUESTION ABOUT YOGA PROFESSIONALISM OR TEACHING YOU'D LIKE TO SEE DISCUSSED? Our team will answer your questions on our News page in the form of articles, vlogs and free classes! Join the conversation on Instagram and watch the 90 Monkeys adventure unfold! 90 Monkeys, LLC was sparked by the popular professional development online courses called 90 Minutes to Change the World, created in 2010 by Amy Ippoliti.